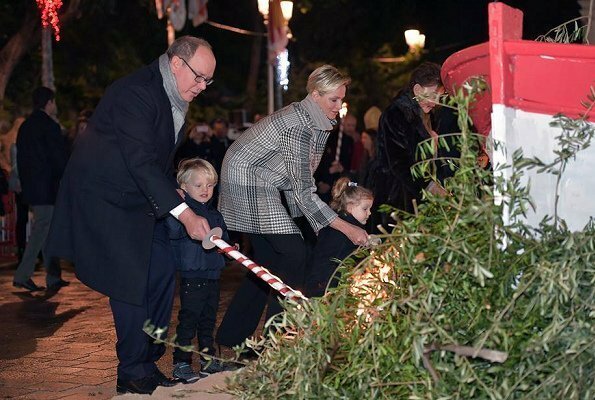 Prince Albert, Princess Charlene and their children Crown Prince Jacques and Princess Gabriella attended symbolic boat burning event held as part of Saint Devota celebrations. 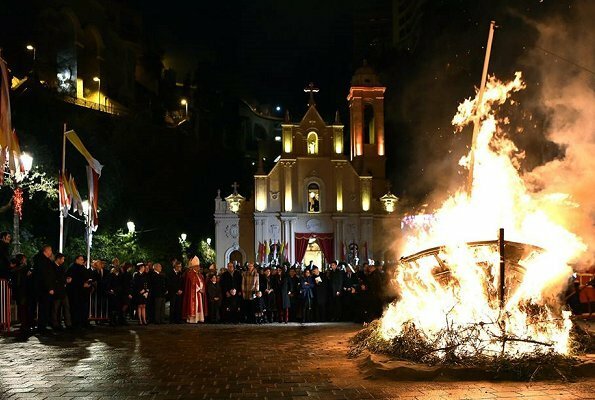 Saint Devota (French: Sainte Dévote) celebrations take place on January 26-27 every year and people of Monaco get together to celebrate Saint Devota and burn a boat symbolically. 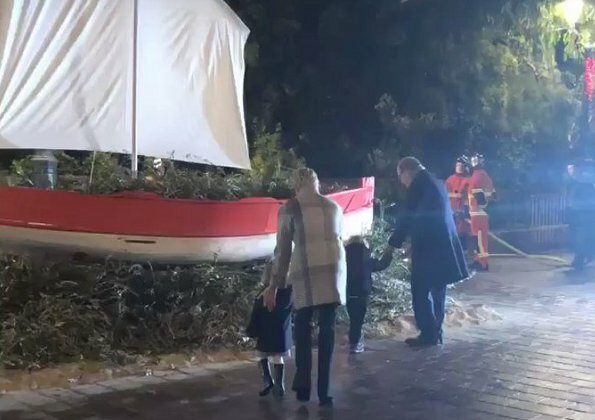 After the boat is burned, a fireworks show is performed at Hercule Harbour. It is believed that Saint Devota protects the Principality in bad times. 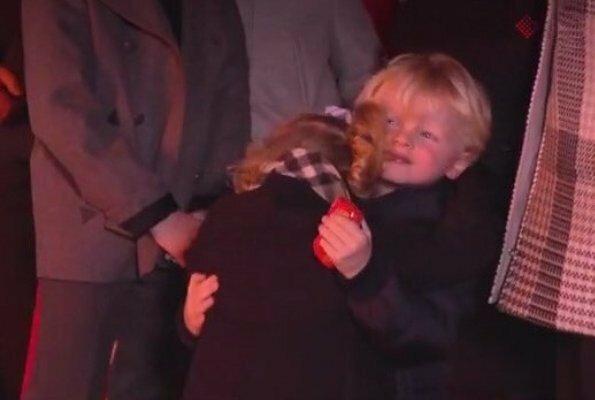 The twins are very cute - nice to see them being introduced gradually to the different events in the Monaco calendar. I love Charlene's coat and the sharp tailoring of the trousers. 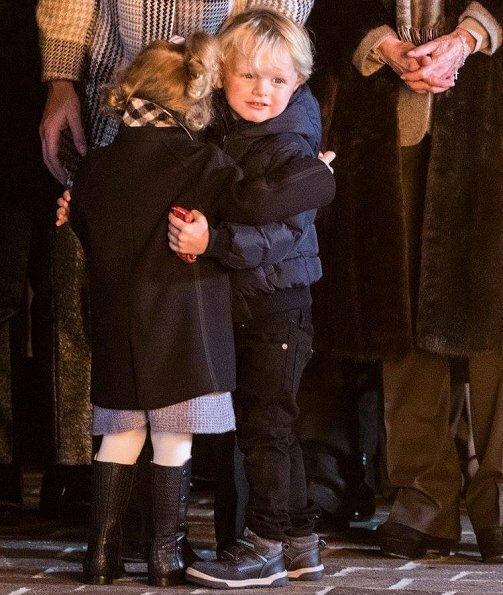 The photo of the twins hugging is incredibly sweet. Again, they are perfectly dressed for the winter night event. 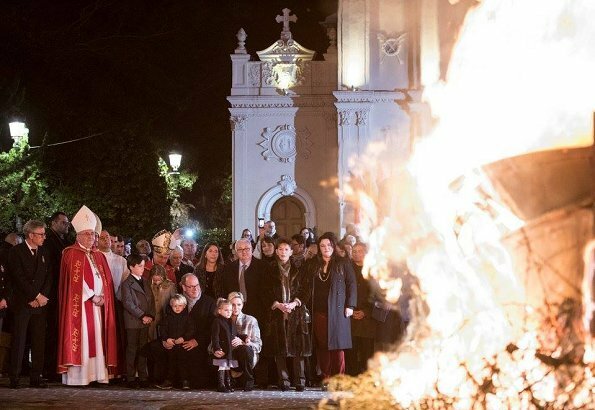 This is an ancient Monegasque tradition and it is good that they are included. I wonder who the older girl is--I've seen her before in photos. Charlene and Albert both look great. Pictures 4 and 5 are adorable! 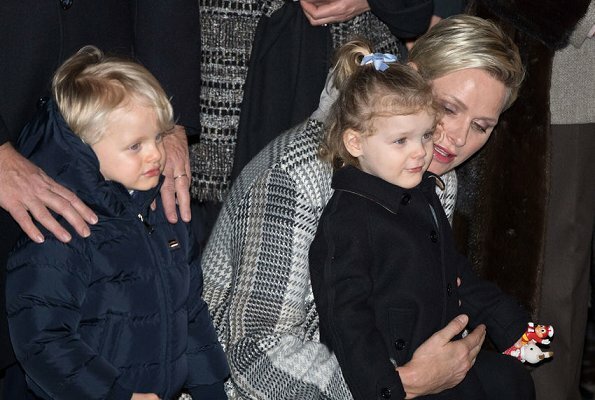 The Princess and Prince do an amazing job raising the twins. They are always happy and smiling. The interaction between brother and sister just gorgeous. Gabriella is going to be a real beauty. Albert seems to favor Jacques. 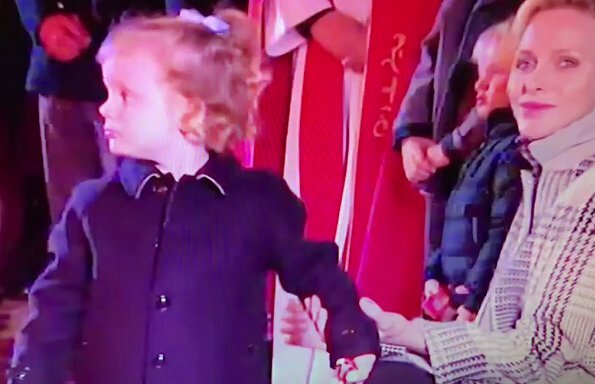 Both kids are adorable. 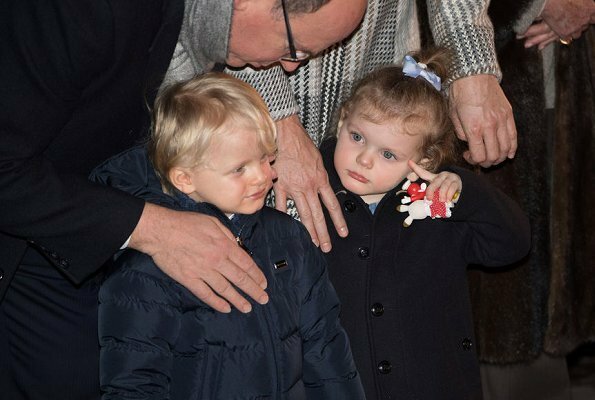 I think that Jacques takes after Charlene, while Gabriella looks a bit like Stephanie. Lovely photos altogether. And I like Charlene´s outfit. All little boys like to hang out with their father every chance they get. 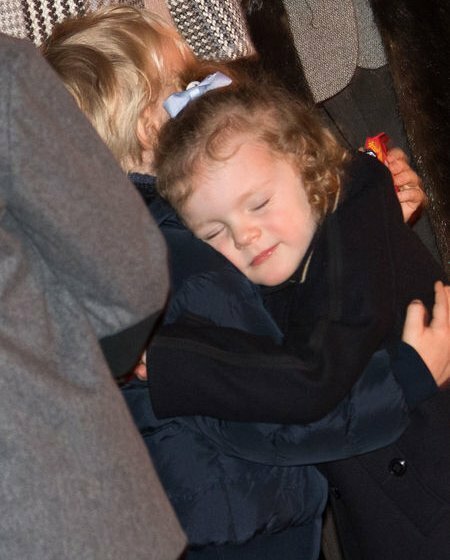 Favourites have nothing to do with it, early on it was Albert that was always holding Gabriella in the photo ops. 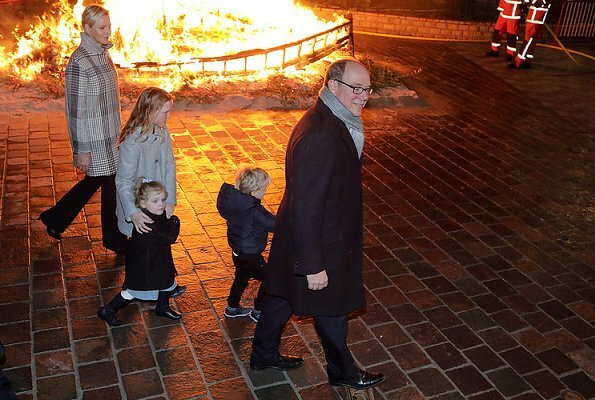 ik wil eerst bedanken voor de mooie foto,s, prachtig !!! die kinderen zijn zo leuk met elkaar!!!!! 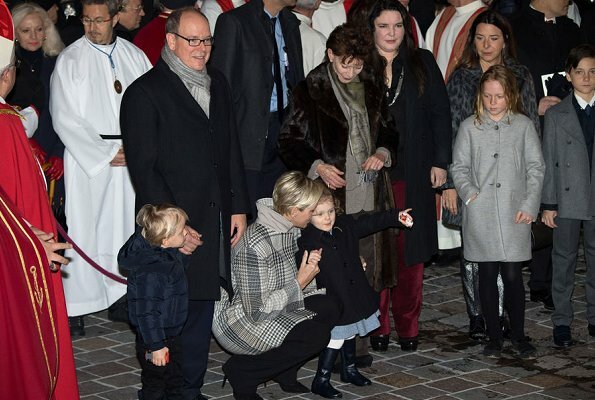 wow what a beautiful family, kudos to charlene, shes a wonderful, beautiful, elegant woman!! !